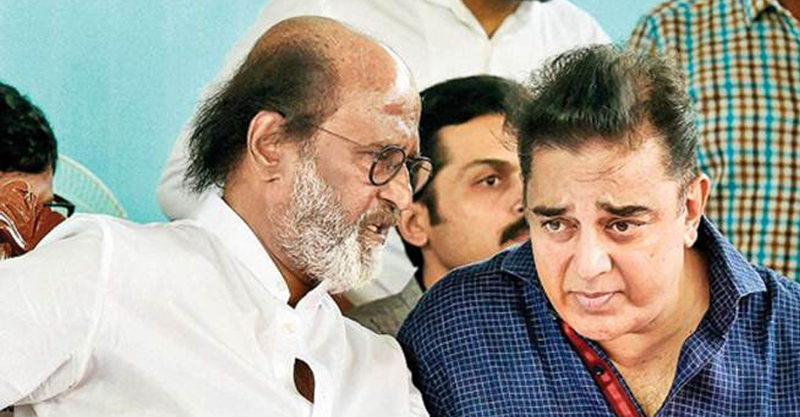 While Kamal Haasan and Rajinikanth were on the same page over the Cauvery protests, the two superstars of Tamil cinema, have again differed on a vital issue. Rajinikanth who had on May 30 visited Tuticorin and met some of the persons injured in the violence during the protest demanding closure of Sterlite factory there. “Some anti-social elements infiltrated… (the protesting locals). It is their handiwork,” he had said and expressed grief that ‘this noble protest’ had ended on a bloody note. Haasan however disagreed with Rajinikanth and slammed his fellow superstar. He was quoted saying by a news channel that if the protesters were ‘anti-social, then so am I’. The residents of Tuticorin were protesting for the closure of the factory for 99 days. Protesters march on May 22, the 100th day of their protest against the copper unit were turned voilent, and 13 people were killed in police action on May 22 and 23. Puducherry Chief Minister V Narayanasamy also took exception to the remarks made by actor Rajinikanth that ‘anti-social elements’ had ‘infiltrated’ the anti-sterlite protests in Tuticorin recently. Addressing reporters, Narayanasamy said Rajinikanth should come out with proof in support of his allegation that anti-social elements had crept into the anti-sterlite stir held last month. “Without showing any proof he should not make such off the cuff comments as it would only hurt the sentiments of the people and others who had protested against the copper smelter plant in Tuticorin, posing threat to the environment,” the Chief Minister said. He suspected that the 67-year-old actor could have been acting as per the guidance of ‘some persons.’ When the entire nation was jolted by the police firing on anti-sterlite protesters in that district, which left 13 dead, Rajinikanth should not have made such comments, he said. “The actor should withdraw his views if he is magnanimous.. None would accept the Superstar’s views on the stir,” he added.